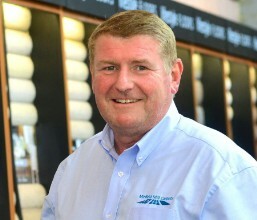 "At Mirfield Mill Carpets we genuinely put the customer at the heart of everything we do. Thats what matters to us. It's very important to us to provide the very best customer service we can. To allow us to do this, we always seek customer feedback on every customer experience, by gathering information on such things as our product quality, waiting time, value for money, fitting experience... The things that matter to our customers; and that's what's important to us. And we are always looking for ways to improve our service. Below is our current overall customer satistaction rating, along with some written comments from some of our customers. If you would like to leave your own feedback concerning your customer experience with Mirfield Mill Carpets, simply click our logo below." Mirfield Mill Carpets current customer satisfaction rating is 99.8%! “Overall an exceptional service - above and beyond a standard carpet/wooden floor buying and fitting service. Graham tailors his services and products around your needs and requirements. Making the whole process a smooth and faultless one. “Quiet simply, superb service and value for money! Rather than purchase our flooring from the larger carpet providers, we chose Mirfield Mill Carpets due to a 'word of mouth' recommend from friends; and we were not disappointed! The quality of product and service we received was excellent. From our showroom visit, the knowledge & customer service, selection & value for money of product, to the fitting; all were faultless. "We would highly recommend Mirfield Mill Carpets and found Mr. Ervine very professional and helpful. The fitting of the carpet was very well done. Thank you, a very satisfied customer." "There's only one word that springs to my mind... EXCELLENT from start to finish... With everyone involved. Many Thanks Anna ." "Good quality carpets at competative prices supplied by a friendly and local company. We would definitely recommend Mirfield Mill Carpets." "Good service by all the members of Mirfield Mill Carpets... Could not fault the care and professional service I received and I would recommend this company to anyone. Thank you, Graham." "We can not thank you enough for your hard work!! Our hallway and staircase looks stunning!! The fitters were brilliant, knowledgeable and gave 100% to the job! Graham was very friendly and gave fantastic service! Thank you so much for helping us transform our home!" "I can't praise Andy and Mark enough for their professionalism and hard work. I was in two minds about the synthetic lawn but I couldn't be happier with the outcome and know I made the right decision. I can't stop looking at the garden and the lawnmower has gone for good. Once again thankyou Graham, Andy and Mark a job well done!" "After a really bad experience with another flooring contractor I rang Mirfield Mill Carpets to see if anything could be done to rectify the problem caused by this other contractor. I spoke to Graham Ervine, explained the situation to him and he was at my house within 2 hours of me ringing him. The problem was rectified and we were walking on a new kitchen floor within days of ringing Graham. This quality of service is a rare thing these days and I cannot praise Mirfield Mill Carpets enough. Many thanks Graham from both of us. "From start to finish it was a pleasure dealing with Graham and his team. Plenty of samples to test were available with no pressure to return them or, as has happened in the past, the demand for a deposit or quick return. Genuine impartial advice was given on the options, again with no pressure, our choice. Fitters David and Andy were very courteous, efficient and very tidy on the day and we are delighted with the result. I would definitely recommend this company. First Class all round. Thank you." "Mirfield Mill Carpets did exactly as promised. Hard to find these days..."
"Mirfield Mill Carpets were recommended to us by friends, and we have been delighted by the service and quality of goods and the fitting they provided. We thoroughly recommend the company." "Superb customer service from start to finish. Takes the worry out of those little things such as moving heavy furniture or doors needing adjusting." "Met with Graham Ervine at Mirfield Mill Carpets, as they had been personally recommend, to discuss our flooring needs for our hallway and selected Luxury Vinyl Tiles. The tiles were fitted very quickly with professionalism and no mess at all. Great job! Better than any other home flooring provider in the Mirfield area... Thanks to Graham and the team." "Absolutely brilliant. From start to finish. Very friendly, not at all pushy and very competitive (we did get other quotes from companies we have used before). We will definitely use them again and recommend them." "After taking on a renovation project in Mirfield I needed some help to start turning my house into a home. I had seen some recommendations on Mirfield Matters so I decided to give Graham a call to see if he could help. Graham arranged to visit promptly, gave me some advice and made an appointment for me to visit the warehouse to choose the carpets. There was never any pressure selling and where he could have pushed for higher value carpets he actually recommended a cheaper carpet. I have now had 3 carpets installed and due to challenges with the property I have had to move dates to suit work. Graham is extremely flexible, polite and professional and has moved dates to suit me. In short I cannot recommend Mirfield Mill Carpets highly enough. I will be back for more carpets as the project continues. Thanks so much Graham..."
"Our whole experience buying a carpet from Mirfield Mill Carpets was excellent from start to finish, I would highly recommend this company to all my family and friends - a job well done." "I found the fitters to be very professional and they did a really good job..."
"This is the second time we have used Mirfield Mill Carpets and I wouldn't hesitate to use them again! We had a tight time schedule and the fitters went out of their way to squeeze us in and even went round the houses to pick up keys as I was working. Great service and the carpet looks fab. Thank you again."